Encouraging reduced water consumption in commercial buildings is good for business. Not only does it save on the water bill, which some property management firms cover as part of the lease, but it also offers companies a chance to brand themselves as eco-friendly. In some areas and industries, property management that takes a conservationist approach is seen as a benefit, and may help entice business owners to lease space. Three easy ways to reduce water consumption in commercial spaces are detailed below. 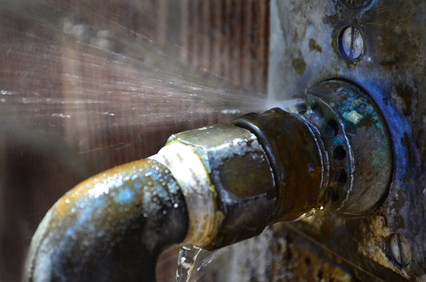 An undiscovered leak is one of the fastest ways to lose water. Asking building residents to report suspected leaks as soon as possible helps you fight phantom water loss, but you can also monitor water use gages to determine if a leak is possible. Choose a six to eight hour time period when you know water won't be used in the building. Check the gage at the beginning and end of that period; if water use changed, then you know it's leaking somewhere and you can investigate further. Older toilets use as much as three gallons of water for each flush. New, low-flow, toilets use around 1.6 gallons per flush. In an office, retail or other commercial building, the difference in water use adds up fast. Even a small office of 20 people could generate an extra 35 gallons of water use each day when old toilets are used – that's over 9,000 gallons each year. Consider investing in newer toilets for all facilities; not only do you save on water consumption, updated restrooms may attract more renters. For hand washing, bathroom faucets only need to produce a flow of about 1.5 gallons per minute. Measure faucet flow by running the faucet into a container for 10 seconds. Measure the amount of water in the container and multiply that by six to ascertain the total amount flowing each minute. If bathroom faucets measure more than 1.5 gallons of flow, install low-flow aerators to limit how much water flows through.